Federal and state government eyes have turned once again toward water infrastructure for northern Australia. Deputy Prime Minister Barnaby Joyce joined Prime Minister Malcolm Turnbull for a whistlestop visit to Queensland this week. At talks with community groups and members of the public, dams and the downturn in resources dominated discussion. 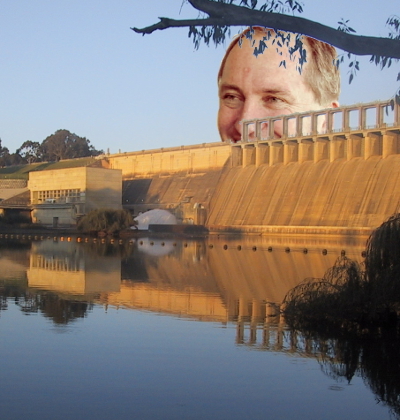 No announcements were made, but Mr Joyce did reaffirm his keenness for water projects. “Water is wealth and a dam is a bank,” he said. “Any essence of wealth is connected to water and water infrastructure. “As they say you can make money out of mud, you can't make it out of dust. Mr Joyce called on the Queensland Government to work more closely with the Federal Government. “The resource is actually owned by the states, that's why I can't unilaterally as the federal Minister say; ‘Well I'm going to build the Connors River Dam’, because then Premier Palaszczuk will say; ‘That's great ... but you don't have the power to do that, you have to work with me to do that’. “So if they suggest Connors River, Connors River is where we'll go. If they suggest Urannah, Urannah's where we'll go. Meanwhile, the new Minister for Northern Australia says he wants to start work on long-awaited water projects on the Fitzroy River. “The Rookwood Weir and Eden Bann Weir will have their environmental impact statements hopefully concluded very shortly,” Minister for Northern Australia Senator Matt Canavan said. “The Queensland Government, along with the Gladstone Area Water Board, are pushing that along and so when that's finished I'm hopeful that not long after we might be able to have a positive outcome on it.